McMINNVILLE — It was a night of firsts for the Sherwood High School football team. The Bowmen were playing their very first Pacific Conference game, and they were also playing McMinnville for the very first time. Well, thanks to a determined effort — not to mention a powerhouse running attack and a clutch, opportunistic defense — Sherwood's night of firsts included a big, initial league victory. 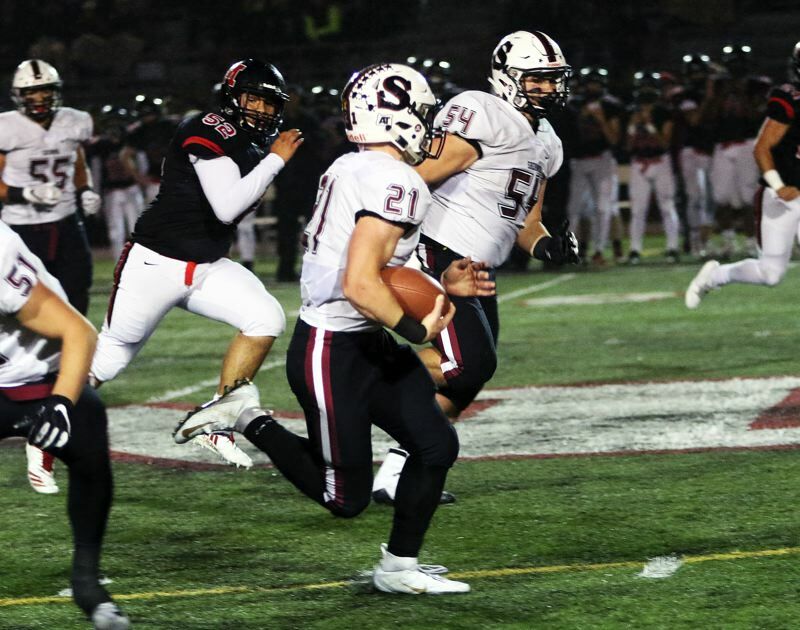 Sherwood, in its first Pacific Conference contest, got off to a roaring start, and then fought off a furious McMinnville rally attempt to get a 38-27 win over the Grizzlies in a conference opener played Friday under rainy skies at McMinnville High School. "Oh, it's great. 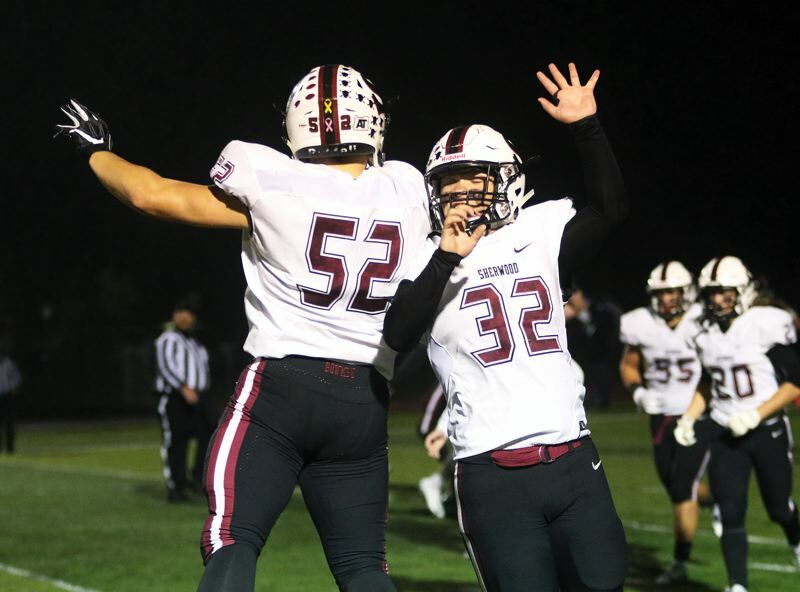 We got the first win in league, and that's exactly what we wanted," said Sherwood senior defensive back Noah Beeks, who had a pair of interceptions in the victory. "Our goal is the league championship, and the first step is to win the first league game." "It's huge. In a new league, opening up with a win is always a good sign," said Sherwood senior running back Ian Stormont, who rushed for 170 yards and three touchdowns. "Oh, it felt good. 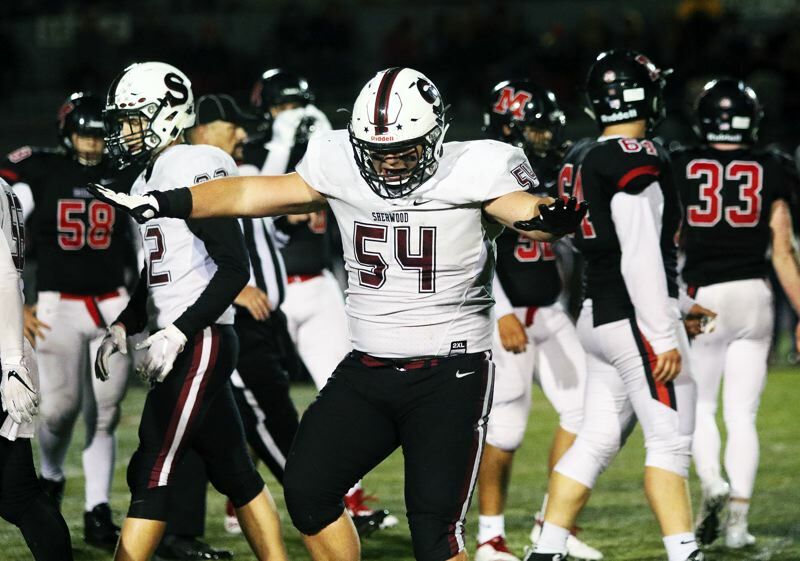 It was great to get the new league started off right," Sherwood junior lineman Nick Severson said. "We wanted to get off to a good start. We had a tough first five games, so this really felt good." McMinnville, which entered Friday's contest as the No. 8-ranked team in the OSAA Class 6A power rankings, moved to 4-2 on the season with the loss. Sherwood upped its overall record to 2-4 with the conference-opening victory. "Coming off being 1-4, and they're 4-1, everyone was looking for us to come over here and get our butts kicked, but it didn't happen," Stormont said with a smile. "Preparation all week has been crazy," Severson said. "We were ready. We were hungry." And, while the Bowmen may be playing in a new league, on Friday, they turned to something they've relied on for a long time — the running game. n the victory, Sherwood rushed for 459 yards on 51 carries. "Ground and pound," said Severson, who, along with senior Carter Atkins, junior Ian Glenn, senior Jackson Barton and sophomore Noah Culbertson, among others, helped pave the way for that running attack. I"We're just going back to old-school Sherwood football. We knew that we just had to keep it on the ground, keep it going and chew that clock." 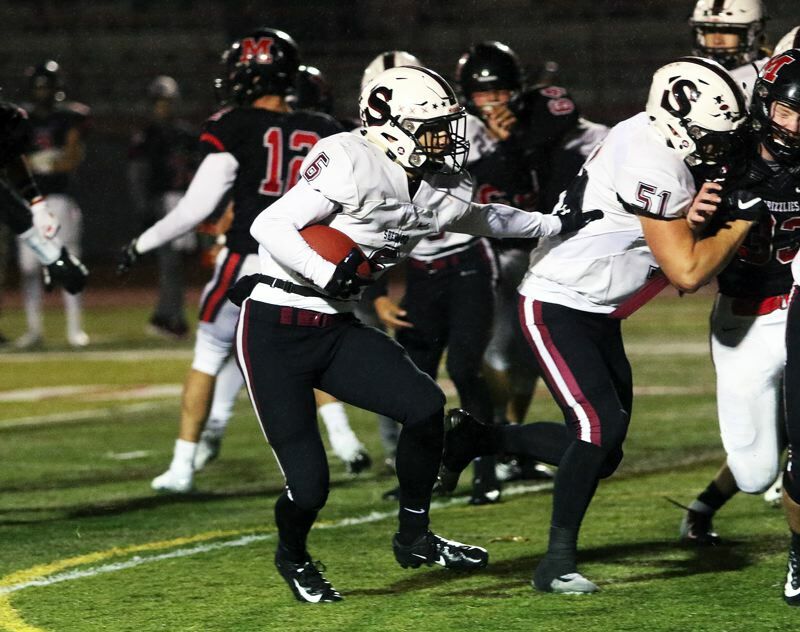 The first time the had the ball, the Bowmen went exclusively to the running game. With senior Kaden Rhinehart and Stormont carrying the ball, Sherwood moved 79 yards in eight plays, capping off the drive with Stormont's 2-yard touchdown run. Junior Kaedin Steindorf add the first of his five extra-point kicks to give Sherwood a 7-0 lead with 7 minutes and 45 seconds left to play in the first quarter. McMinnville would answer back, getting a 5-yard touchdown run by senior Colton Smith to tie the score at 7-7 with 0:44 left to play in the opening period. But the rest of the first half belonged to the Bowmen. Sherwood sophomore Clay Peden had a 13-yard run, junior Jamison Guerra added a 17-yard run and senior Jacob Reuter had a 15-yard run to set up a 5-yard TD run by Stormont, which gave the Bowmen a 14-7 lead with 8:56 left to play in the second quarter. Sherwood senior Ben Baxter recovered a Grizzly fumble on McMinnville's ensuing possession, and the Bowmen were moving again. Stormont capped off a 63-yard drive with a 26-yard scoring run, which pushed the margin to 21-7 with 1:22 left in the first half. But the Bowmen weren't done yet. McMinnville's next possession ended with Beeks' first interception of the game. That helped set up Steindorf's 45-yard field goal, coming on the final play of the second quarter, which gave Sherwood a 24-7 halftime advantage. "Halftime was just crazy," Severson said. But the home team came batting back in the second half — more specifically, in the fourth quarter. 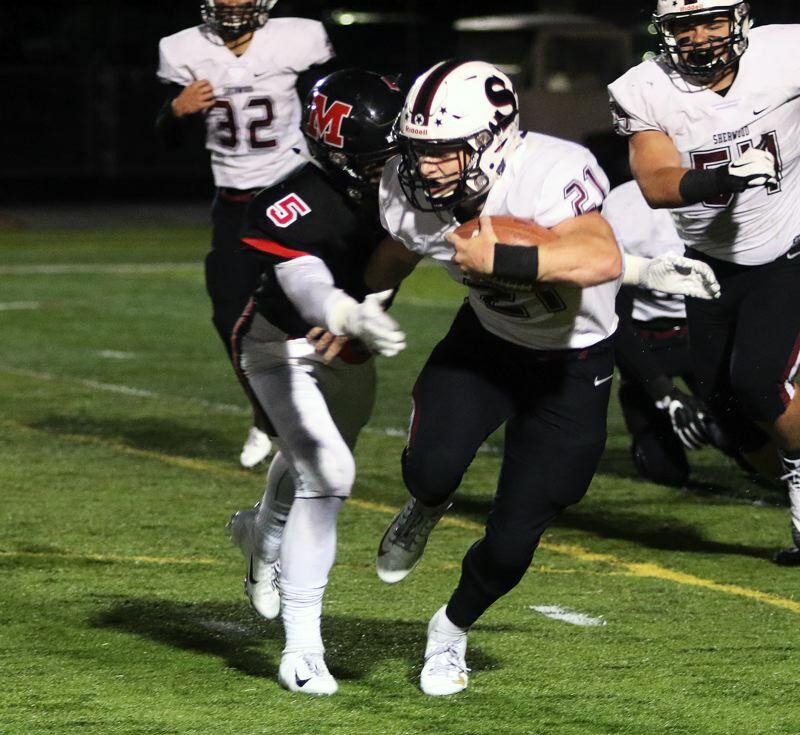 On the first play of the final stanza, McMinnville senior quarterback Sam DuPuis connected with senior Parker Spence for a 20-yard touchdown pass play, cutting the Sherwood lead to 24-14. The Bowmen, following a long kickoff return by Peden, answered right back with a 3-yard TD run by sophomore Jack Causey, upping the margin to 31-14 with 9:55 remaining. But the Grizzlies wouldn't go away. A 16-yard touchdown pass from DuPuis to Spence trimmed the lead to 31-21 with 7:45 left to play. 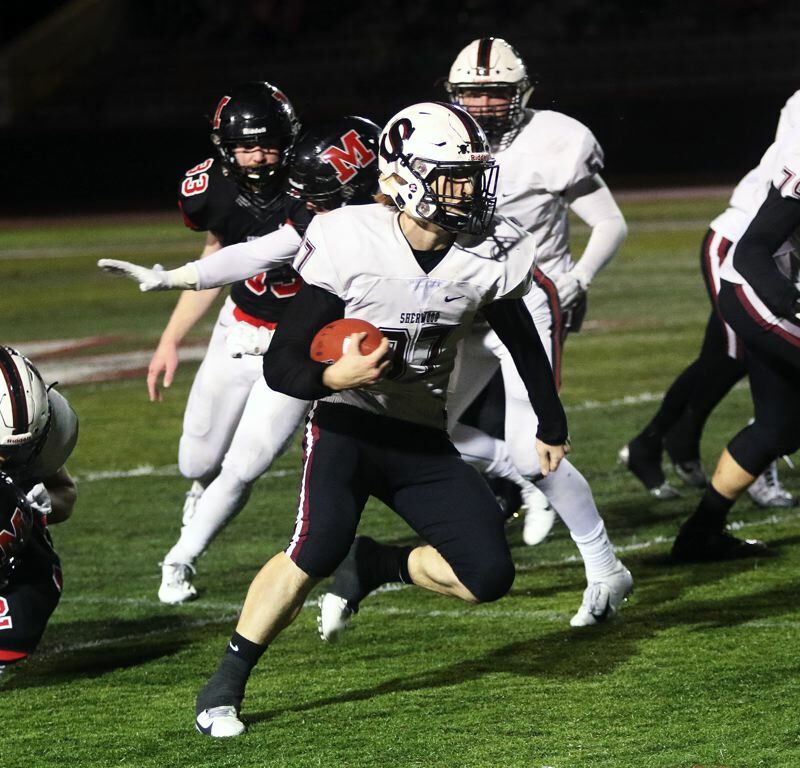 McMinnville senior Ian Wilson then recovered an onside kick, and the Grizzlies took advantage, getting a 35-yard scoring strike from DuPuis to Spence. McMinnville failed on the ensuing extra point, following a bad snap, but the home team was still trailing just 31-27 with 5:59 remaining to play. However, resilient Sherwood answered back again. 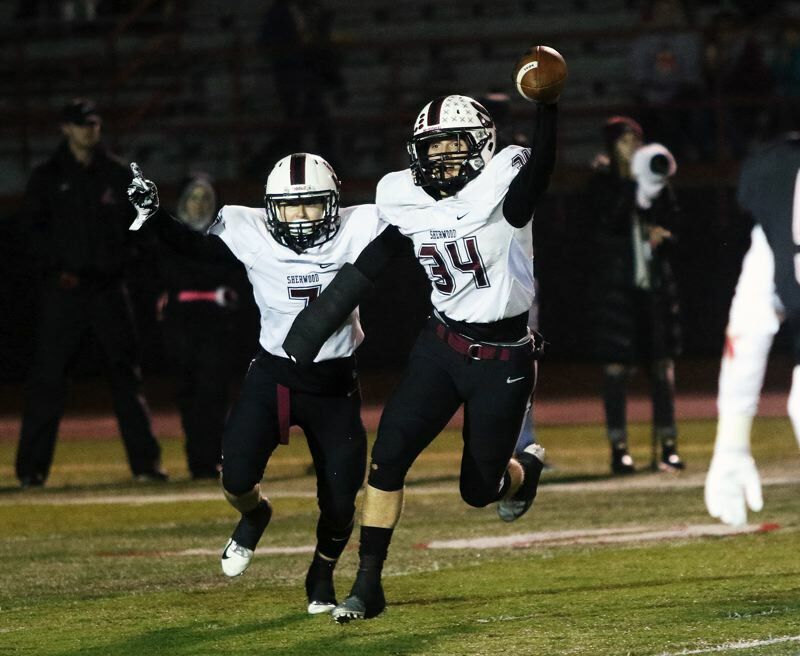 With Stormont pounding the ball up the middle over and over again, the Bowmen moved the ball upfield, capping off a seven-play, 80-yard drive with Peden's 34-yard touchdown run, with gave Sherwood a 38-27 lead with 2:16 remaining. But DuPuis and the Grizzlies quickly threatened again, moving the ball to the Sherwood 6-yard line. But, on the next play, Beeks intercepted a ball in the end zone with 1:17 remaining, all but clinching the victory for the Bowmen. "We were doing our usual," Beeks said of the play. "I saw the ball in the air, I jumped, and I got it. Oh, it was amazing. It was a great feeling." "Noah has been on fire lately," Severson said. "He's been great in the secondary." "That was amazing," Stormont said. "Noah is so overlooked as a cornerback because he's undersized. But nobody knows his speed, and how he can turn on a dime and the hands that he has, and his being able to stick with those good receivers." Stormont, for the game, picked up his 170 rushing yards on 19 carries. "It's all (Sherwood assistant coach Mark) Gribble," Stormont said. "Gribble has taught me since freshman year how to run the ball, and everything he has told me has stuck with me, so kudos goes to him. And the line did amazing. 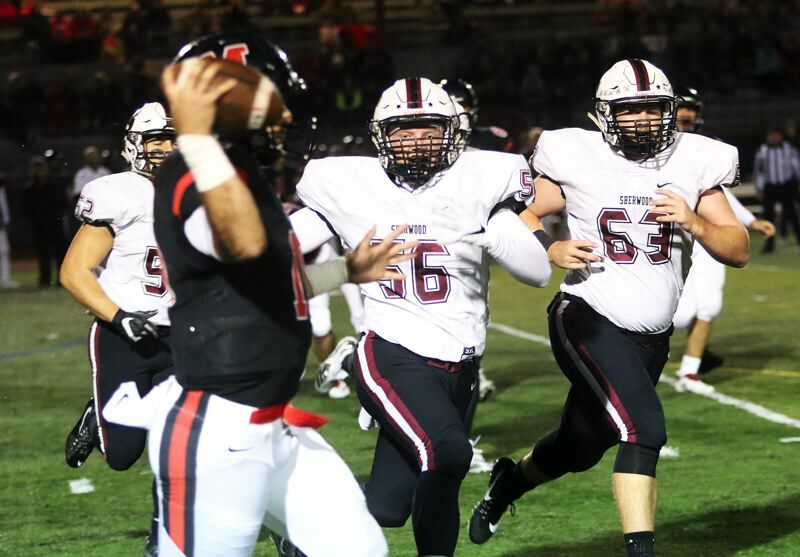 With McMinnville's rushing defense, they're always sending a lot of guys. At Sherwood, we usually man block, but switching to gap blocking, in a week, we had it down by Wednesday. I have to give credit to them, as well." Peden ran for 92 yards on seven carries, Rhinehart had 85 yards on 11 carries and Guerra had 41 yards on three carries. "Our offense did amazing. We pounded the football down the field," Beeks said. "Our defense had the offense's back. We were holding each other accountable. It was amazing." 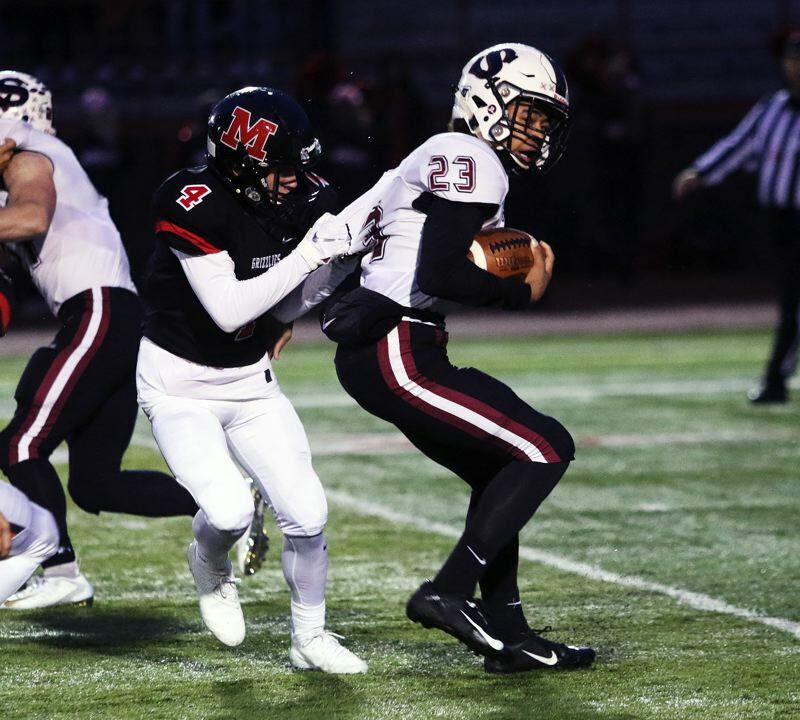 For the Sherwood defense, Atkins had a pair of quarterback sacks, Severson had a pair of tackles for losses, senior Isaac Day had a quarterback sack and Barton had a tackle for a loss. "Defense has been on fire lately, and we're loving it," Severson said. "We're looking to keep that going." "Oh, this was amazing," Stormont said. "The locker room was pumping with loud music. This was everything you'd expect from a high school game." For McMinnville, DuPuis completed 21 of 33 passes for 282 yards and three touchdowns, with two interceptions. Smith had nine catches for 103 yards, Spence had five for 101 yards and senior Kevin Sullivan had six catches for 72 yards. McMinnville will be back in action on Thursday, when it faces Glencoe in a Pacific Conference game starting at 7 p.m. at Hare Field in Hillsboro. 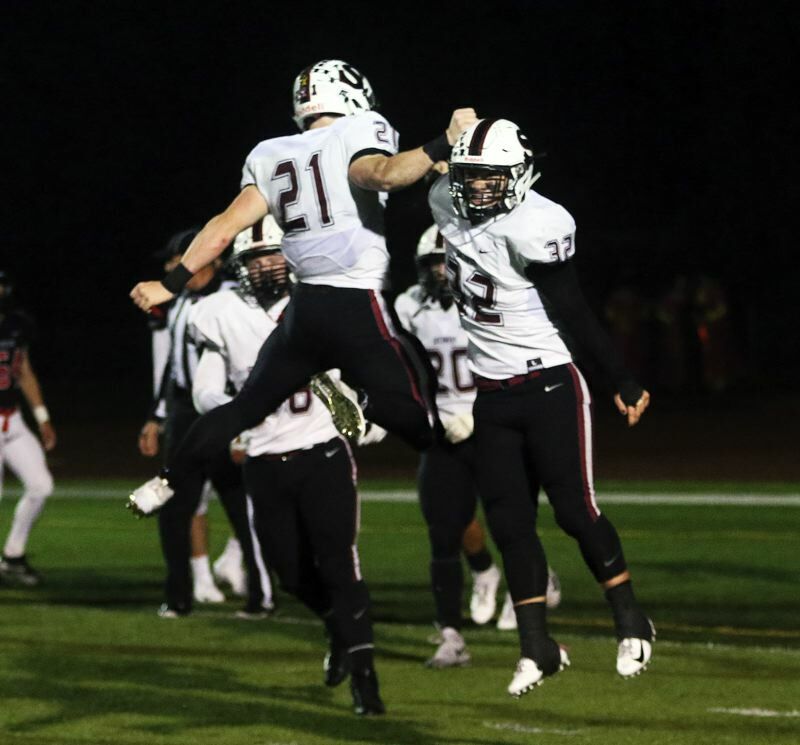 The Bowmen will be home on Friday to host Newberg in a Pacific Conference game starting at 7 p.m.